Family of 4, recently moved to a property with some room to grow things. 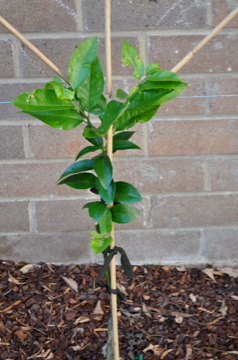 Aiming to keep the backyard clear of too much planting so the kids can run around, but have created a small (1.2 x 1.2) vege garden and have commenced a 4 x dwarf fruit tree espalier against a brick wall, plus potted fruit trees in the courtyard. 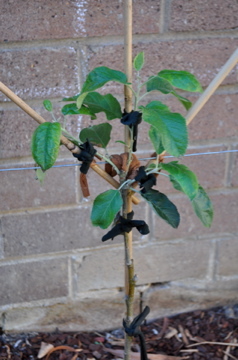 Lots of clay in the soil (so went for no-dig option of raised vege garden, but did plenty of soil conditioning for the espalier). 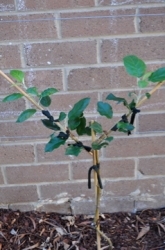 Biggest challenge: hungry possums. 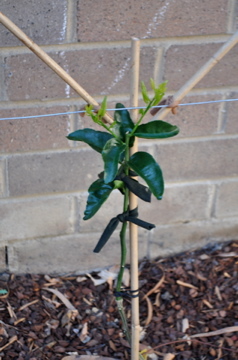 Biggest rewards: kids getting into eating veges from the garden, seeing my first efforts at pruning achieving the right things with the espalier. 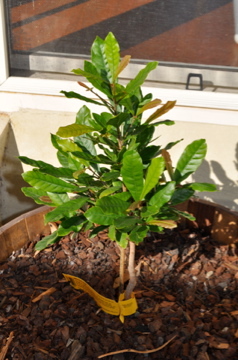 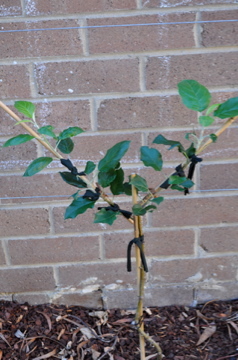 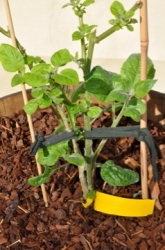 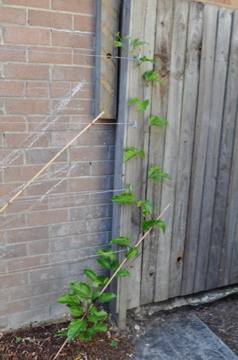 Comments: - Pruning and training to form a Double-U shaped espalier. 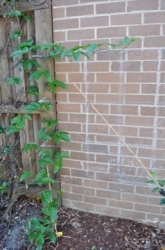 Comments: - Growin for coverage of a brick wall while my espalier is developing. 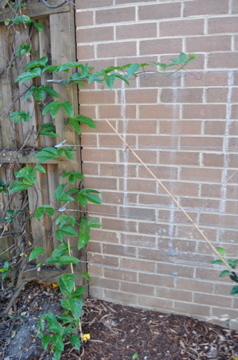 Comments: - Growing this for coverage of a brick wall while my espalier is developing.